Since the beginning of November I've been on a tear for improving my win rate going from a low of 50.86% on Oct 31 to a current high of 53.94% as of today. 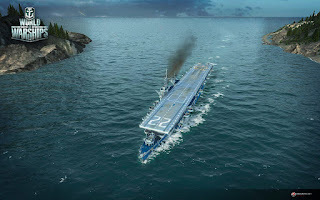 I believe the drop from ~52% to under 51% was due running in the lower tiers with the new Russian destroyers and German cruisers where the quality of players can run the spectrum from excellent to horrible in random groups, and as I rose the ranks into the tier IV and V range the players are more experienced and the results of good play more consistent. Also, I found my grove in certain ships like the tier V Furataka cruiser which can be dominating in same tier play with its big 203mm guns and decent durability, plus I got all the upgrades for the Amagi and New Mexico battleships, both solid in their respective tiers. Also, I found that a second go around with the Bogue tier V carrier using the all damage strike pattern worked for me and I had some good success with that to close out the training for the Independence which I've just got yesterday. On top of those factors, I also really adjusted my battleship play and have been trying to less aggressive with my big brawlers so I can avoid over-committing, which is a problem I tend to have in the early game, especially if I'm at the top tier in the match. 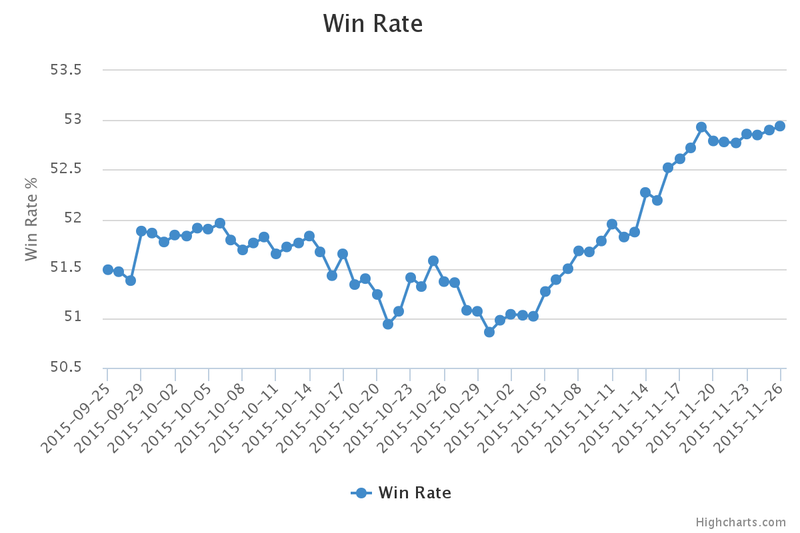 This has improved my win rate in the Amagi to 54% over 35 battles. So I mentioned I just got into the Independence after finally getting the Bogue under control. Its tier VI and starts with a balanced 1/1/1 loadout which is nice compared to the painful loadouts of the Bogue, but after having decent success with the strike loadout I might try the same thing in the Indy when the module is unlocked. I'm also starting up in the IJN Aoba tier VI cruiser, and still working on the Konigsberg at tier V. I haven't made much progress with the tier IV Izyaslav destroyer as I've been working the new long term missions and the destroyer mission required tier V destroyers of which I have none in port at the moment. Speaking of the missions, there are four of them, one for each ship type. I easily completed the battleship one since I have three battleships of tier V or higher, and the carrier one is almost done, just need about one torp hit on an opposing carrier to complete it. The Cruiser challenge requires 100 plane kills and I have about 51 and 4 days to do it using the three cruisers I have. Its gonna be a tough one.